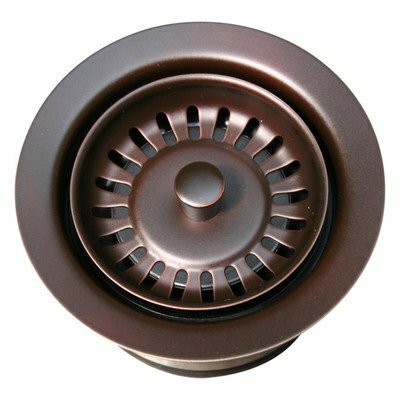 WH200-MABRZ Finish: Mahogany Bronze Features: -Waste disposer trim. -Fits all fireclay sinks, except the duet series sinks. -Includes matching basket strainer. Product Type: -Basket Strainers. Dimensions: Overall Height - Top to Bottom: -1.375". Overall Width - Side to Side: -3.5". Overall Depth - Front to Back: -3.5". Overall Product Weight: -2 lbs. If you have any questions about this product by Whitehaus Collection, contact us by completing and submitting the form below. If you are looking for a specif part number, please include it with your message.